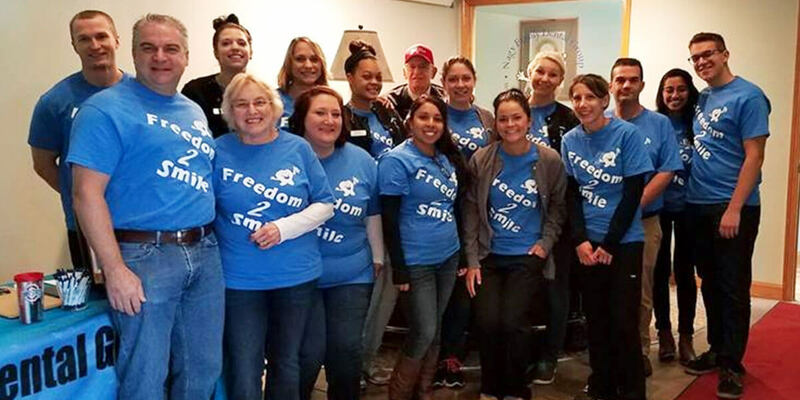 Our November 10, 2017 Freedom to Smile Event honored those who have served our country with free dental care and thanked those who have provided our freedom through their personal sacrifices. 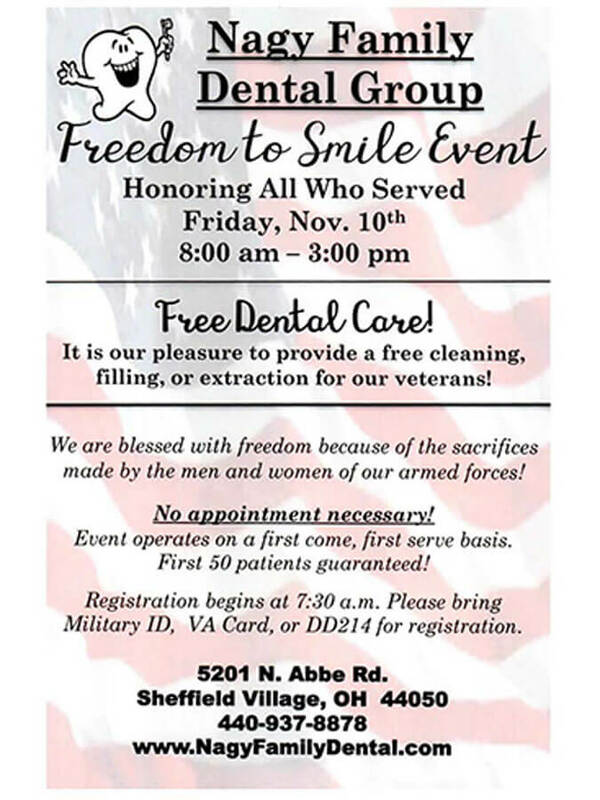 Each veteran was able to choose a free cleaning, filling or dental extraction. We were humbled to be able to provide care to such courageous heroes! In 2018, we will hold our 10th annual Halloween Candy Buyback Program after Halloween. During our event, kids can receive $1 per 1 pound of candy for up to 5 pounds of Halloween candy that they surrender to our office. 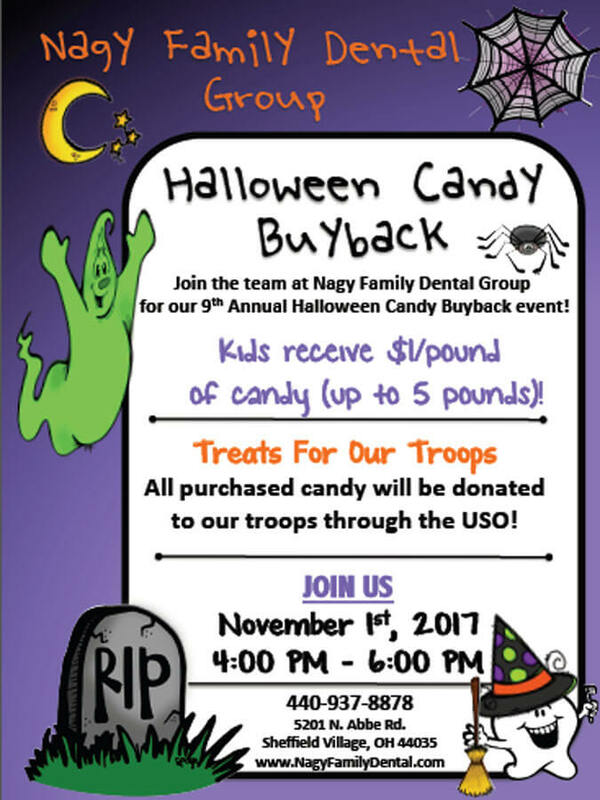 All the purchased candy will be donated to our troops with the help of the USO. It’s a win-win for everyone! The Scott Nagy DDS, LTD. Foundation is a 501 C(3) charity that helps children and families in our community have access to quality dental care. 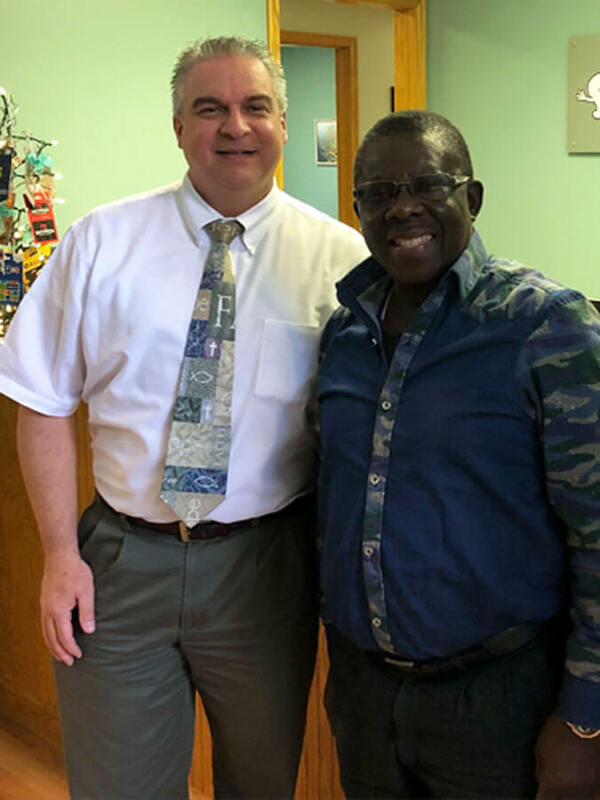 In addition to this, the foundation has recently started mission work in the Dominican Republic and plans to continue annual mission work as long as possible. Dentistry from the Heart® is a not-for-profit dental organization that works to supply the world with free dental services. The organization teams with many dental providers and members to offer dental care to those in need. Many of our providers and members return year after year because they love what we do. 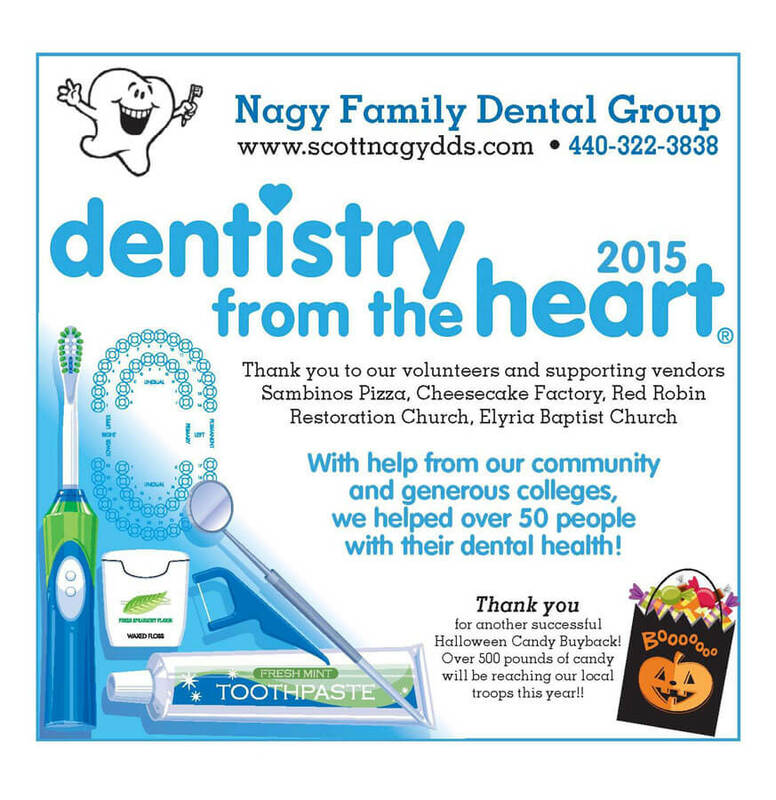 At Nagy Family Dental Group, we are proud to work with Dentistry from the Heart® to help provide underserved communities in our area with dental care. In addition, we love to help our community whenever we get the chance. 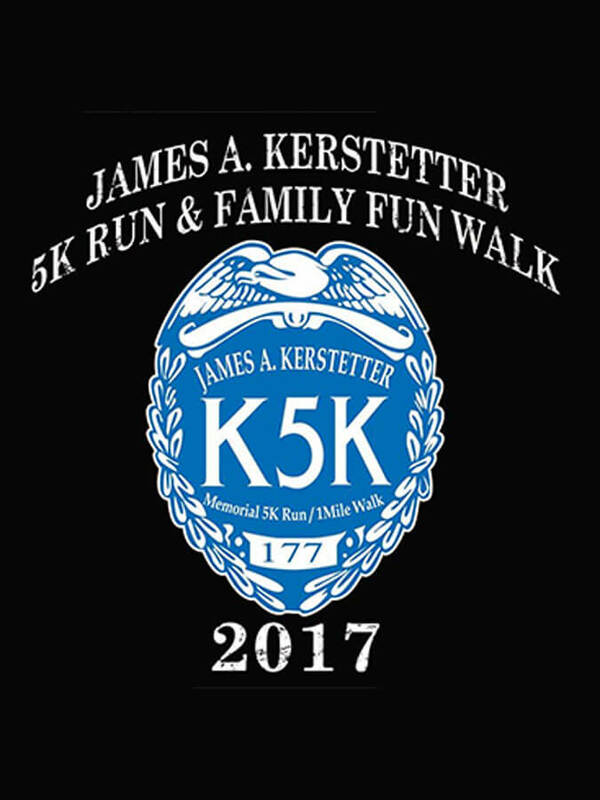 Throughout the year, you can find us participating in fundraising for various Fun Runs, collecting school supplies for Back to School and jumping in when disaster strikes to help our our neighbors. At Nagy Family Dental Group, our community is our family and we are always there for family!